S.E.R.G. is now connected to the N.B.N. network. The Club is once again connected to the internet. The I.R.L.P. and the remote station are all working properly and there has been a dramatic increase in upload / download speeds. 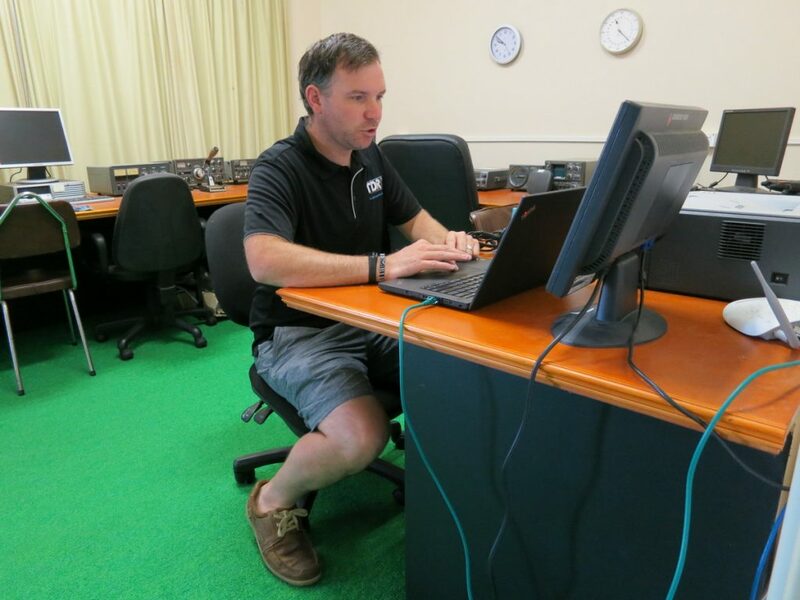 John, VK5DJ, has updated the Remote Access details on the relevant page of this site. 1. Supplying us with excellent internet at no cost. 2. For maintaining the system – also free of charge. 3. Updating the system to the N.B.N. If you are looking for a new provider – look no further than T.D.R.S. who are, of course, locals. Brett, hard at work, setting up our Clubroom’s for the N.B.N. A BIG Thanks Brett for the fantastic service you have provided the Club SERG and its members, we sincerely appreciate your great support to the club.